A bit on the stranger side today. It seems like Nancy is reminiscing about her teacher’s earlier “words of wisdom” while sloughing off at home. The punchline is cute, though. 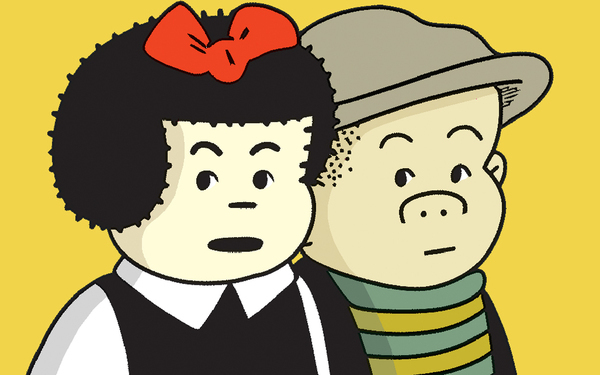 But, Nancy’s “smooshed” in hair (due to the couch cushion)…. not a good look for her at all. And her leaning against the couch posture is having her show the signs of a budding double chin…. also not a great look for her. In the greater scheme of things… the teacher’s message is a good one. I do appreciate how the teacher is being portrayed thus far. Nancy’s preference to “veg” instead is sad for Nancy, but in keeping with her feelings on education it seems. Not the best OJ Nancy we have had, in my opinion… but sufficient.